Fifty radicalised Indian youth have crossed over to the "other side", but the Indian ethos and culture have ensured that the menace has not taken dangerous proportions in the country, External Affairs Minister Sushma Swaraj said on Wednesday. The issue of radicalisation is not limited to Jammu and Kashmir but other states as well and the entire world too, she said in the Lok Sabha. Responding to supplementaries during the Question Hour, Swaraj said 50 radicalised Indian youth have crossed over to the other side. She, however, did not specify where they have gone. She said the Centre has already launched an anti- radicalisation programme with states to ensure that the youths are not misled. The minister credited the "Indian ethos and culture for the minimal damage radicalisation has caused" in India. She said secularism, the watchful eyes of parents and the belief that violence is not good, have helped the country. Swaraj told the House that India is set to host a conference of ASEAN nations on de-radicalisation but the venue has not yet been finalised. Besides de-radicalisation, cross-border terrorism would be the other topic of the conference. 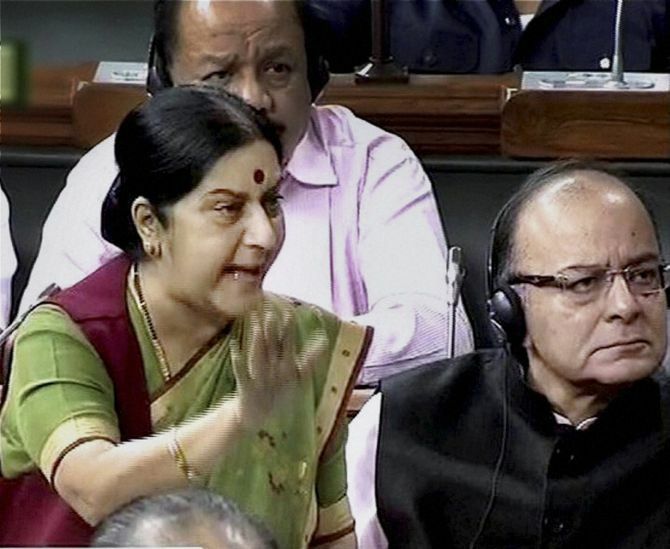 Responding to a question, Swaraj said South China Sea was not the subject of the proposed event. She said the government would consider the "positive" suggestion of Asaduddin Owaisi of the All India Majlis-e-Ittehadul Muslimeen that 'ulemas' (Muslim scholars) of ASEAN countries should also be invited as they have successfully helped check radicalisation in their respective nations. Islamic State head Abu Bakr al-Baghdadi still alive? How big is the Islamic State threat to India?